Today is a big day for us at Reward Gateway and it’s a big day for employee benefits and employee engagement in Australia too. 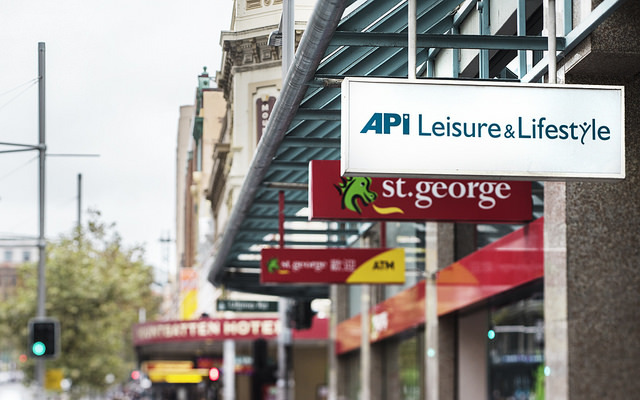 Today we’re announcing a historic merger of the employee benefit programmes of Reward Gateway and Australia’s oldest benefits provider, API Leisure & Lifestyle. It’s a partnership that we’ve been working on for nearly a year and we’re really excited about the benefits it means we can bring to so many employer programmes. API has always offered fantastic standards of client care. We’ve known that for many years and it was confirmed to us many times in the customer diligence we conducted as part of this deal. We’re really conscious as we complete this merger that you are becoming Reward Gateway clients without having directly chosen us. We know that this merger will give you lots that you’ve been asking API for – much improved benefits, much improved online offers, more genuine savings for your people, plus the user experience and communications that will drive usage and employee engagement. Many API clients already know us but there are some that do not and we know that we’ll need to win your trust. We’ll do that by listening to you and understanding what you need, delivering a fantastic job for you, making life easy and delivering the metrics and results that you need. We’re tremendously excited about showing you SmartHub™, the immersive employee engagement platform that we’ve already launched in the US and UK which helps you unify all of your benefit and reward programmes together so that it’s easy for employees to engage with. We really hope that when you see the flexibility and control that SmartHub™ gives you, you’ll see bigger and broader ways that we can help you deliver for your organisation than you expected. There’s a lot of work to be done from today – we’re keen to get to meet everyone as quickly as possible and we’re keen to upgrade your API platform to the merged Reward Gateway and API platform just as soon as possible. Our team here in Sydney is excited and ready to get going, and they’ve got the full support of their close colleagues in our offices overseas. For my part and on behalf of the whole Reward Gateway Leadership team, we’re going to do everything possible to make this a fantastic experience that you love and that really takes your benefit and reward programme to the next level.